Sage 50cloud is an accounting software designed to provide financial management solutions to small and mid-sized businesses (SMBs). Its features include cloud access, bill payment, reporting, and direct deposit services among others. In this article, we covered Sage 50cloud reviews and pricing. Ready to get started? Visit its website. The Sage 50cloud pricing scheme includes three subscription plans: Pro Accounting ($46.83 per month), Premium Accounting ($72.41 to $171.41 per month), and Quantum Accounting ($182.91 to $304.91 and higher per month). It also offers a customized plan for those who need 11 or more users and companies per account. Ready to get started with Sage 50cloud? Visit its website. Users who gave positive Sage 50cloud reviews like that it is easy to use and that it doesn’t have a steep learning curve. They also mentioned that it provides comprehensive data, enabling them to keep their accounts organized. Users who gave negative Sage 50cloud reviews complained that its customer support is ineffective. They also commented that its performance is inconsistent, slow, and would often crash. 10 Best Accounting Software for Small Businesses 2019 – The best accounting software for small businesses should be affordable, easy to use, and allow you to easily track income and expenses. In this article, we looked at over two dozen products and narrowed it down to our top ten. Does Sage 50cloud offer add-ons? Yes, you can add a Microsoft 360 license to your subscription for an additional $150 per year. Does Sage 50cloud offer software training? Yes, it does. 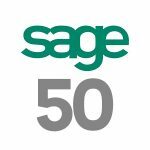 You may visit the Sage University page to learn more about Sage 50cloud and other products in order to maximize Sage’s solutions. Not sure if Sage 50cloud is the right fit for you? See how the software stacks up against its top competitors in our in-depth Sage alternatives guide. Serve Americans. I want to track detailed phases in a project, but this is excluded from the Canadian software version. That their product offer for Canadians is decidedly weaker than the same software version sold to US customers, but don’t bother to mention the difference to customers who are seeking a solution. It’s a very straightforward software with multiple features that are useful for the company. Provides different ways to get good reports and it’s user friendly. Customer support is not as responsive as it should be and it also lacks functions that are present in other softwares that are actually helpful. Overall, this is a very nice software to medium and small businesses, even big businesses if you know how to work it out. No customer support, no response to issues, charges credit card with no authorization even after account closed. How poor their company supports their products. Here are a few paragraphs of my recent experience. In November 2018 I decided to try Sage again. I signed up and paid but it took a week before sage had setup my account and I was able to login. Then I still had problems. I canceled and asked for a refund… sage would not respond after repeated attempts at contacting them. I had to contact Capital One and dispute the charges, sage charged me for 1 month and then an extra $4+ for who knows what. They never would explain it. I made sure I sent emails explaining my issues and that I did not want to be charged again. I also specified that I wanted all my data deleted. They deleted my data but couldn’t bother to respond to any calls or emails. On Dec 26th sage again charged my credit card for a months service, without my authorization. I called for almost 3 hours speaking with different low level people who couldn’t do anything and each time I was hung up on, disconnected, or sent to an extension of a person that was out until mid January. I was informed that ONE person was the only one that could do anything for me… not even a manager. That seems strange. I never did get any help or speak to anyone that cared even the slightest about being fraudulently charged. Now, once again, I have contacted Capital One’s fraud devision and I am going to see what legal action I can count on to files charges against sage for what they are doing. Also, after a little research, I find that this happens quite often. I also own a web design company and have hired a person to start writing blogs and social media post to let as many people as I can NOT TO USE SAGE FOR ANYTHING!!!!!!! They will get ripped off and with no recourse to get help from sage. Sage does not care about anyone but themselves and, if they can rip you off, steal your money, charge your credit card without any authorization… they will do it and not think twice about it. I am also sending this post out to as many people on social media as I can to bring awareness to sages illegal activities. Hold customers hostage with mandatory costly updates to access basic “year-end roll-over” and other functions. Completely criminal behaviour! Coming to billing, they have no flexibility but to “split receipts” to allow customers access “free library”. Nothing is free They should be banned from doing business! They impress me as a company that’s not focusing on providing customer with good products and services, but ripping customers off with very expensive paid updates. The updates are not accessory, but critical components for standard function of an accounting software. Their changes in the business model will certainly drive customers away. I wish to know of the paid updates for critical functions of the software on a regular basis before I made my purchase decision. Extorts money by monthly fee for client care. If you don’t pay, you’ll pay a penalty to get your upgrades. Give me local vendors I can call for face-time support. I DON’T WANT TO GO ON-LINE TO SIFT THROUGH QUESTIONS AND ANSWERS. When I started using Sage (mas90) a LONG time ago. I had local support and our product was simpler because computers were just coming into small offices. Now, I’d like us, a service company, to be paperless with our work orders – but we can’t get there with Sage 100. I had mobile units and bar code readers for a while in 2008 but that third-party vendor stopped supporting the product I bought/they built. Now mobile units and bar code readers seem to be an impossible request. Although, two years ago that feature was suppose to be in Beta testing and available in a “month”. I’m still waiting for that month – after the upgrade and $$$$$$$$$$$$$$.